There’s a common belief out there about wireless earphones—that you can’t get an adequate pair for all of your adventures without spending through the nose. 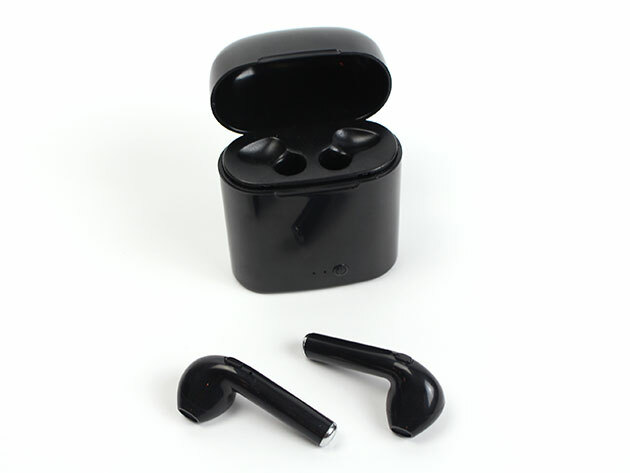 But options like these Wireless In-Ear Headphones turn that notion on its head, providing users with incredible stereo Bluetooth sound, ergonomics fit for any activity, and a convenient case-charger combo at a reasonable price. In fact, right now Daily Caller readers can get these phones for 67% off the $79.99 MSRP, bringing the total down to just $26 on checkout. These In-Ears are lightweight, and mold perfectly to your ear. Enjoy True Wireless Stereo Technology over 2-3 hours per charge whether on commute, at the gym, or hiking in your local mountains. And when you run out of power, you can simply replace the phones in their case—they’ll recharge automatically in 1-2 hours. Plus, in-line controls allow you to adjust the volume of your phones, turn them off completely, or answer incoming calls without touching your smartphone. Such high-quality earphones aren’t always around at this price. Check these out today at the Daily Caller shop and save 67%—that’s $26 out the door compared with the $79.99 MSRP.